CPP Innovation Labs is a scientific incubator created to develop personality and data driven solutions to address larger societal problems. We develop solutions using scientifically validated assessments, real world data, and innovative technology. Our goal is to create actionable insights for a range of “people-based” problems. We are currently helping clients research student success, medicine adherence, and employee satisfaction and development. Read our recent press release to learn how the incubator applies data science and artificial intelligence to personality research. CPP Innovation Labs is currently exploring predicting student success in secondary, post-secondary and vocational educational settings, HR and people analytics, and behavioral science and habit formation theories to identify personalized strategies to achieve career and life success. In the future, we are interested in applying machine learning concepts to automate counseling and coaching, the role “wearables” can play in assessing personality to drive behavioral change, and the creation of novel, solution specific assessment tools. In 2014, Vista Unified declared its moonshot to achieve a fully functional Personal Learning School District within five years. The Personal Learning Challenge, every bit a moonshot in terms of difficulty and importance to the American people, is announcing progress way ahead of schedule. Learn More. The personal learning ecosystem is a new game-changing model for education which eliminates its silos and creates pathways that enable individual student success for every student and our regional economy. At Digital Promise’s Innovation Alley, Vista Unified will initiate a series of events leading up to its launch of the school district of the future – a learning ecosystem – in September of this year. Learn More. CPP Innovation Labs and Zenith Education Group have entered into a partnership with the goal of helping students succeed in college and the workforce. Incoming Zenith students will be given CPP’s widely validated career interest and personality assessments to help them make more informed decisions. Learn more about this partnership and how assessment data and student outcome and performance measures will be analyzed over time to better understand the factors that lead to student success..
CPP, Inc. (CPP.com), an industry leader in research, training, and organizational development tools, including the Myers-Briggs Type Indicator® (MBTI®) assessment, today announced that Darrell Mockus, CTO of the newly launched CPP Innovation Labs, will be a featured guest speaker at the Girls in Tech (GIT) interactive workshop-- Successful Leadership in Today’s World: How to Be a Leader and Still Be You . Learn More. CPP, Inc., the exclusive publisher of the Myers-Briggs Type Indicator® (MBTI®) assessment, today announced the formation of CPP Innovation Labs, an incubator focused on applying rigorous data analytics to research-tested personality insight, for rapid time-to-market solutions designed to address clients’ complex problems. Learn more about how the incubator applies data science, artificial intelligence to personality research . Chris Mackey joined CPP in 2011. Chris began his career in market based innovation at Ticketmaster-Citysearch, piloting an employment classifieds advertising product that was subsequently rolled out through a partnership with CareerBuilder to the nationwide network of local online city guides. Chris also led the customer development arm of Sociable Labs, a predictive analytics and data company providing turnkey Facebook integrations for ecommerce sites. During his tenure at CPP, Chris has served in many capacities from strategic partnerships to corporate development, focused on developing innovative products to solve real world problems. Chris led the formation and investment in the GoBe.Me joint venture and served on the board of directors of the company. At the CPP Innovation Labs, Chris’ initial focus is on improving student success and employment outcomes. Chris attended Indiana University as a Wells Scholar and received his MBA from Pepperdine University. 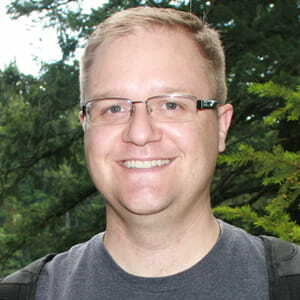 Craig Johnson joined CPP in 2012. 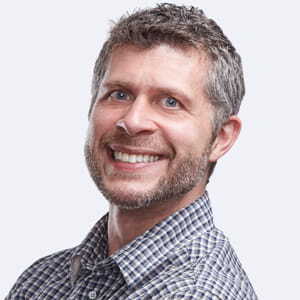 At the CPP Innovation Labs, Craig leads the data science activities for the development, validation, and deployment of custom client solutions and provides design and data science analysis for product design. Prior to joining CPP, he was a Database Manager and Statistical Analyst in the Developmental Cognitive Neuroscience Laboratory at the University of Nebraska-Lincoln. During his tenure at the University of Nebraska he designed and maintained project databases, wrangled data in a wide variety of formats, and aided in statistical analyses. Craig has a wealth of experience in the personality domain with his background in Industrial/Organization Psychology and has conducted myriad validity generalization and local validation studies, evaluated alternative scoring techniques for personality assessment, designed return-on-investment metrics, and worked on job analysis and competency related projects. He has a strong interest in applying technology and statistics to product development and research. Craig received his B.A. from the University of Nebraska-Lincoln and his M.A. in Industrial/Organizational Psychology from Xavier University. 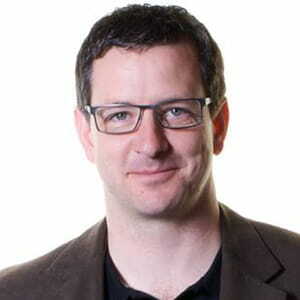 Darrell brings over 20 years of technology and business strategy experience to the Labs team. Prior to starting the Labs, Darrell was a CTO in Samsung’s Open Innovation Center. Previously he was the CTO and co-founder of Utique where he led the development of an advanced automated retail machine and supporting backend software system from concept to mass production. He was formerly the Director of Engineering at Live Nation and one of the original software engineers that built Match.com, one of the first successful revenue generating Internet companies. He is a published author and has eight patents. He also sits on the board of directors for Girls in Tech (http://www.girlsintech.org), a nonprofit organization dedicated to promoting women in technology and entrepreneurship. ©2018 by CPP, Inc. All rights reserved.  CPP logos are trademarks or registered trademarks of CPP, Inc., in the United States and other countries.